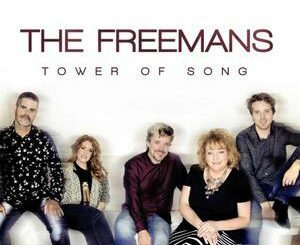 NASHVILLE, TN – (August 18, 2017) – Multi-award winning family group The Freemans are excited to announce the release of their latest collection of songs. Entitled Tower of Song, this new release is the first recording of all new music from the celebrated musical family in four years. 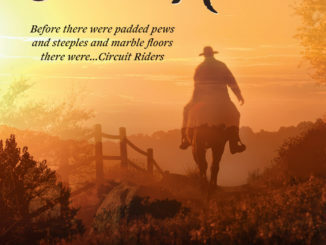 This new project showcases the sound The Freemans are known for a blend of classic country and blues mixed with the group’s traditional Southern Gospel roots. Tower of Song features the production talent of award-winning producers Darrell Freeman, Michael Sykes, and Dony McGuire. 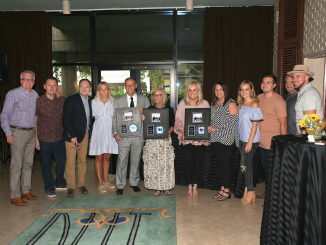 The new project also showcases the writing talents of some of the most respected songwriters on the scene today, including Gerald Crabb, Reba Rambo McGuire, Tery Wilkins, Jerry Salley, Kenna West, Larry Petree, and more. Tower of Song is the follow-up to their 2013 Absolutely Gospel Music Award-winning release Voice in the Desert. The recordings first single, “It Still Takes the Blood,” has been a hit at radio and currently sits at #4 on the upcoming October 2017 edition of the Singing News Top 80 Chart and has found a home in the Top 10 on the AbsolutelyGospel.com Top 40 Weekly Chart for several weeks. Earlier this year, group matriarch Chris Freeman was honored with two Absolutely Gospel Music Awards. Her debut solo project The Hinson Side of Me was awarded Special Event Project of the Year and earned Freeman her first ever Female Vocalist of the Year trophy. If you would like to interview The Freemans contact AG Publicity at info@agpublicity.com. Booking in-house – Chris or Darrell Freeman, Office 615-824-6161 – Text 615-390-6486 or Email bookingthefreemans@gmail.com.